A privately held Science Instrumentation company is looking for a sales manager and a Business Development Executive familiar with Colum Science Chromatography and Mass Spectroscopy or comparable technology. The Corporation has an immediate opening for a sales person with a strong background with CAPEX equipment sales, and they don’t necessarily look for people who have sales experience as much as a product specific science background. This organization specializes in range of HPLC, GCMS, LCMS related products. Are you an experienced Science Industry sales person with a Chemistry background (either through education or experience)? If so, this is an opportunity you must explore! Your primary duties will include sales of scientific instruments and ancillary products. This position requires regional travel, dynamic customer contact, and strong contributions in support of marketing efforts for the company’s product line. They’re seeking a dynamic and enterprising leader and team player who prides themselves in understanding their customer’s needs. This position might very well go to a strong science sales executive or scientist with a successful track record who is ready to be the sales manager. Successful candidates will be extremely responsible team players with an excellent and verifiable work record and credentials based on performance. An attractive compensation package for this position includes an above average base salary an aggressive commission program that provides on-plan total compensation that is very competitive. They provide a comprehensive benefits package and a company car. Strong verbal and written communication skills are required. Candidates should have a minimum of three years sales and/or applications experience in HPLC, GCMS or LCMS. An advanced degree in chemistry is preferred; however, a bachelor’s degree and significant industry experience would suffice. This is an opportunity for an individual on a fast career track to rapidly grow and develop in a team environment with an excellent package of full benefits for the family, substantial base and high commission structure, retirement plan and tuition reimbursement. 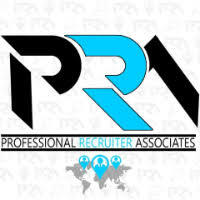 For immediate consideration, please forward a copy of your current resume to info@profrecruiters.com referencing job #1516 or a link to this job.